Front line employees, managers and supervisors in non-manufacturing environments. How can Lean Concepts Apply in Non-Manufacturing? Lean manufacturing has been used both conceptually and in practice to identify and eliminate waste in manufacturing operations for years. Can Lean Manufacturing principles and practices be applied to business processes? Of course! Lean is all about getting waste out of processes and waste isn’t just something that happens in manufacturing. Non-manufacturing processes have hand-offs, disconnects, incomplete communications and rework loops. Office and support processes are often ripe for streamlining and many of the same improvement tools such as process mapping, the 5S’s, and error-proofing can be used to achieve significant efficiencies. Lean process measures can then be put into place to monitor the improvement results, hold the gains and identify new opportunities for improvement. Lean for Business Processes online training is designed specifically for those working in business processes and transactional environments. The course begins with explanations and examples of the Seven Wastes in “office-friendly” terms. Process mapping techniques are coupled with process streamlining methods to demonstrate how value streams can be configured to be more effective. 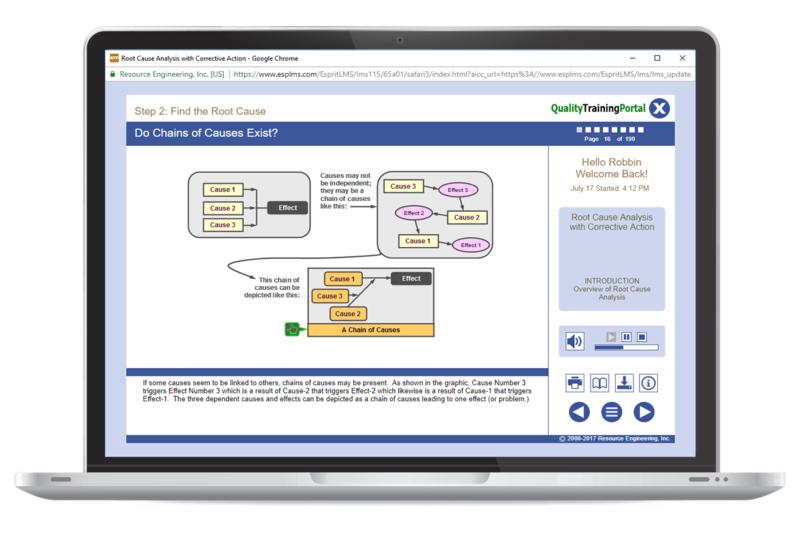 The course adds 5S, error-proofing and TPM techniques to the Lean Business Process arsenal and wraps up with descriptions of measures that can be used to sustain and expand the Lean initiative. We also have a Lean Manufacturing course for manufacturing environments. Understand the Seven Wastes and be able to actively support efforts to reduce them. Recognize value-added from the customer’s perspective. Use Brown-Paper Flowcharts, Workflow Diagrams and Value Stream Maps to document current processes. “Question” workflows to identify non-value-adding activities and tasks. Develop a plan to simplify and streamline workflows. Support a 5S effort in their work area. Understand the power of error-proofing to prevent future problems. Assist a Business Process TPM effort. Be able to track macro measures of the Lean initiative. An understanding and application of the principles of the 5S’s such as Introduction to the 5S’s or equivalent. Explain value-adding versus non-value adding. Define value from customer’s perspectives. Briefly describe how each of the seven wastes detracts value from a process. Know what Takt Time means. Understand how to balance workloads within a process workflow. Be familiar with workflow and work station layout considerations. Identify each of the 5S’s. Know how to clear clutter from a work area. Explain the rationale for selecting effective designated storage locations. Understand how to maintain the work area’s appearance and use preventive measures to keep it clean. Know how to use audits to sustain workplace organization and to prevent backsliding. Be aware of common error-proofing techniques. Know how to use basic root cause analysis tools. Be aware of TPM’s impact on the Seven Wastes. Recognize TPM’s influence on reliability and uptime of business process support systems. Begin measuring Overall Equipment Effectiveness. Measure Lean efforts by tracking Process Cycle Efficiency trends. Create a Balanced Scorecard to track waste reduction. Audit 5S activities to maintain workplace organization momentum. Monitor uptime, throughput rates and yields using Overall Equipment Effectiveness. Develop two-dimensional surveys to gather meaningful customer feedback. Define value from customer's perspectives. Identify each of the 5S's. Understand how to maintain the work area's appearance and use preventive measures to keep it clean. Be aware of TPM's impact on the Seven Wastes. Recognize TPM's influence on reliability and uptime of business process support systems. Recognize value-added from the customer's perspective. "Question" workflows to identify non-value-adding activities and tasks.